We design & develop responsive websites with a results-driven experience in mind. Websites that bring REAL results! If you’re looking to hire an affordable web design company, we cater to small businesses who need a website built from scratch or have an existing web site that needs a rebuild to meet mobile responsive and design standards. We offer many web design services and will be happy to provide a free quote! If you’re looking to expand your online presence, you need more than a website with a fancy design. To rise above your competition, a digital marketing strategy tailored to your unique business type is required. With each project, we work closely with the client to understand their business and their immediate online goals & expectations. This discovery process guarantees a finished product that informs and engages the audience (your valued customers). 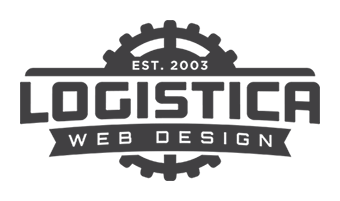 Established in 2003, Logistica Web Design, is an established web development agency with over a hundred domains managed and dozens of websites built and maintained. We utilize the best inbound marketing practices to drive user engagement and increase revenue for the client. We are located on central Vancouver Island in the Comox Valley. Our clients flourish, Are you ready to find out how? Thanks for the great service Brad, it was appreciated to have someone local who could respond to my requests professionally and in a timely basis. 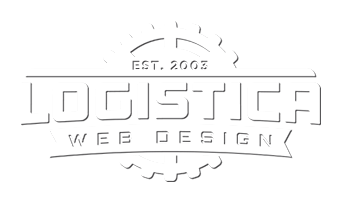 For over 10 years Logistica Web Design has been providing custom websites over a wide range of business types. We are located in central Vancouver island, Comox Valley.